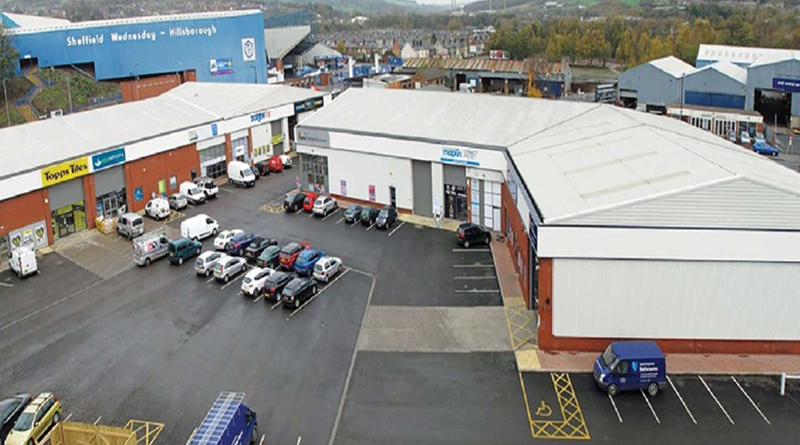 Acting on behalf of Columbia Threadneeedle, GV acquired the freehold interest in Hillsborough Trade Point for £4.15 million reflecting a net initial yield of 6.86%. The property comprises a high quality multi let trade counter estate totalling 47,350 sq ft.
Hillsborough Trade Point is located opposite Sheffield Wednesday’s iconic Hillsborough football ground on the A61 Penistone Road. It comprises eight high-quality, trade counter warehouse units. Tenants include household names such as Topps Tiles, Screwfix, YESSS Electrical, Dulux and Maplin.